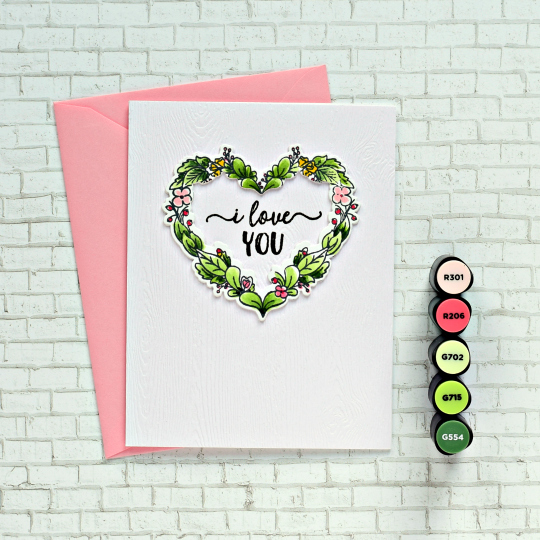 This gorgeous stamp and die is from Neat & Tangled's Floral Heart. It's worth the $$ to get the coordinating die. Would love to see a Christmas wreath version of this set. Colored with Altenew Alcohol Markers and some Wink of Stella (on the flowers). The floral wreath is popped up on 5 layers and sits on Ranger white woodgrain paper. Happy to see that I could get a clean image for the sentiment on paper with that much texture. MOOD WHEN DONE: This was my anniversary card for Mike. I lucked out on that unseasonably warm and sunny day in March so many years ago. We were married in St. Matthew's Cathedral in Washington DC -- a tiny wedding in a huge church, but so beautiful. And now I'm off to get on the treadmill! Such a stunning card, Joan! I love the CAS look of the floral heart wreath against that woodgrain background. Happy Anniversary to you and your husband!! Love your card. So pretty. I own this set. Thanks for reminding me. Happy Anniversary. I remember your love story you shared with us (although not sure it was a love story in the beginning - LOL) and how you ended up getting married. Beautiful Card Joan. Love that the wreath is popped up. This wreath is so very pretty, Joan. Some stamps you just have to get the die, especially for cutting the inside area. It's interesting to see the different stamps you choose for your collection. I love this on the wood grain paper. I need to quit hoarding mine, I guess. A happy card for a happy occasion. I don't have this stamp ,but it is now on wish list. Always look forward to your posts. Love it, Joan--beautiful! And Happy Anniversary to you and Mike! What a gorgeous card. 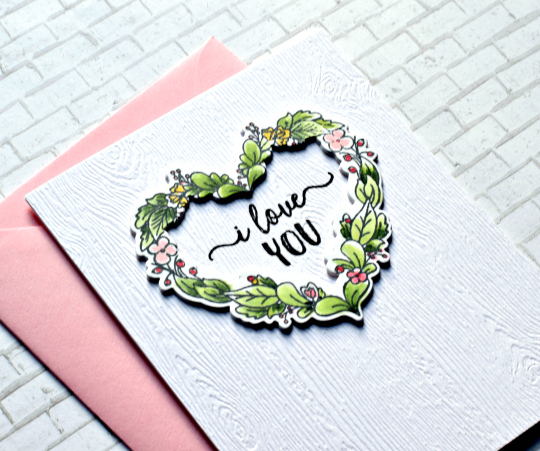 Love the colors in your floral heart and it's set nicely on the wood grain back drop.